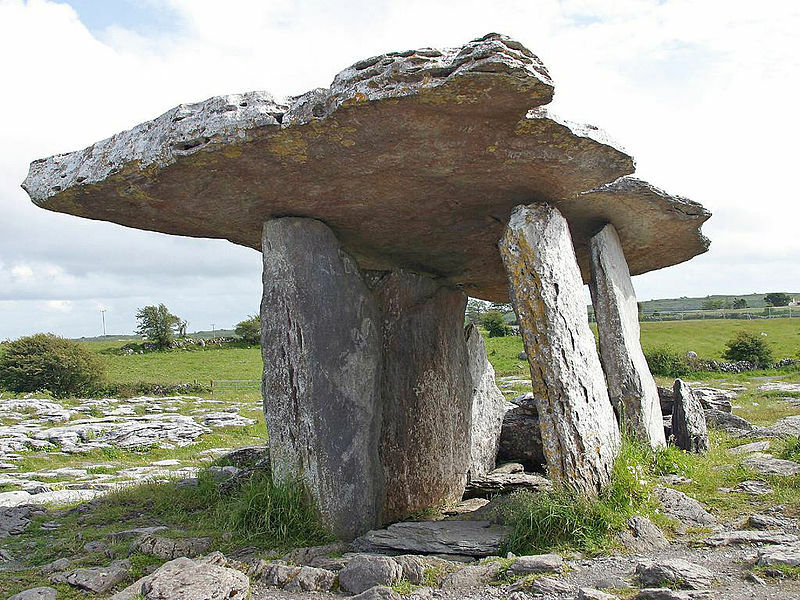 A dolmen, also known as a portal tomb usually consists of two or more upright stones called Portal Stones supporting a large flat horizontal Capstone.This construction makes a tripod-shaped structure. 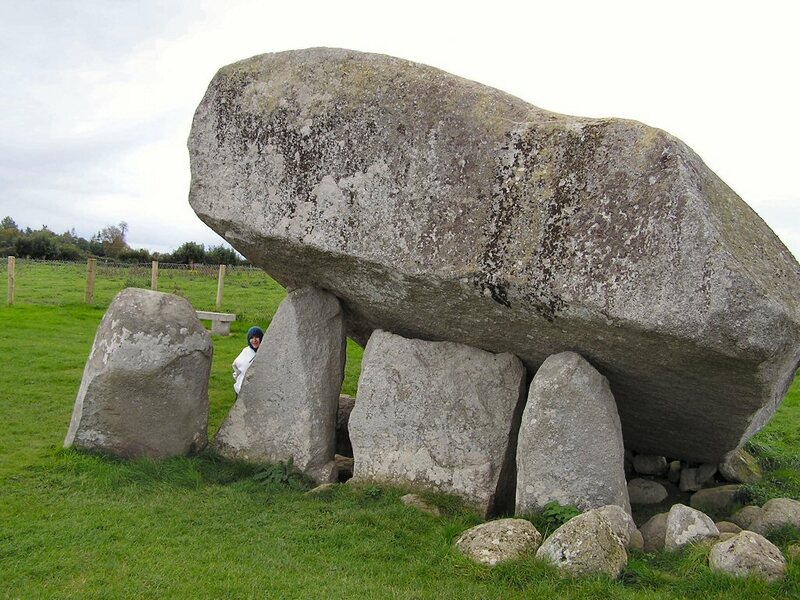 In Ireland Dolmens date from as far back as 4000 BC. Cremated remains of the dead were placed inside the Dolmens and then covered over with a mound of small stones. This mound is called a Cairn. In most instances the Cairn has weathered away, leaving only the tripod stone structure of the burial mound intact. Brownshill is the largest Dolmen in Ireland. It is estimated that the massive granite capstone weighs between 100 and 150 tonnes in weight. In size the dimensions are (4.7 m x 6.1 m x 2 m). In this video you can get a feel of the size and shape of a Dolmen.